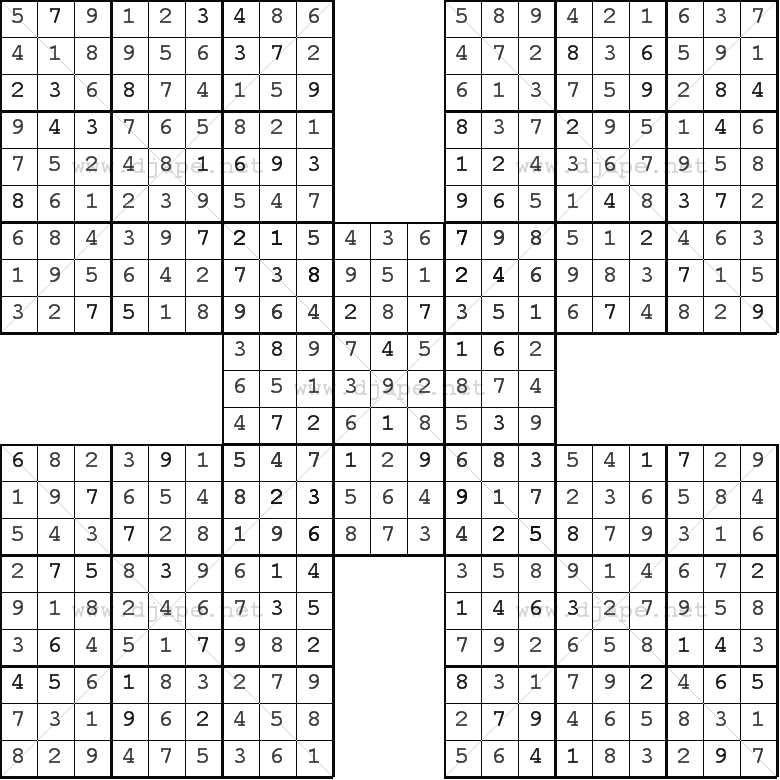 Another brand new Sudoku variation – Sudoku Samurai X (diagonal Samurai Sudoku) has arrived. As far as I know, this is a unique puzzle of this sort – correct me if I’m wrong. Only the visitors of this website have the privilege to download and solve it. Basically, not only do you have to fight against 5 interconnected Sudokus, but you also need to be carefull about the diagonals: ALL diagonals in the puzzle must contain one occurrence of each 1-9 digit. The diagonals are marked in the puzzle so you wouldn’t forget about them. 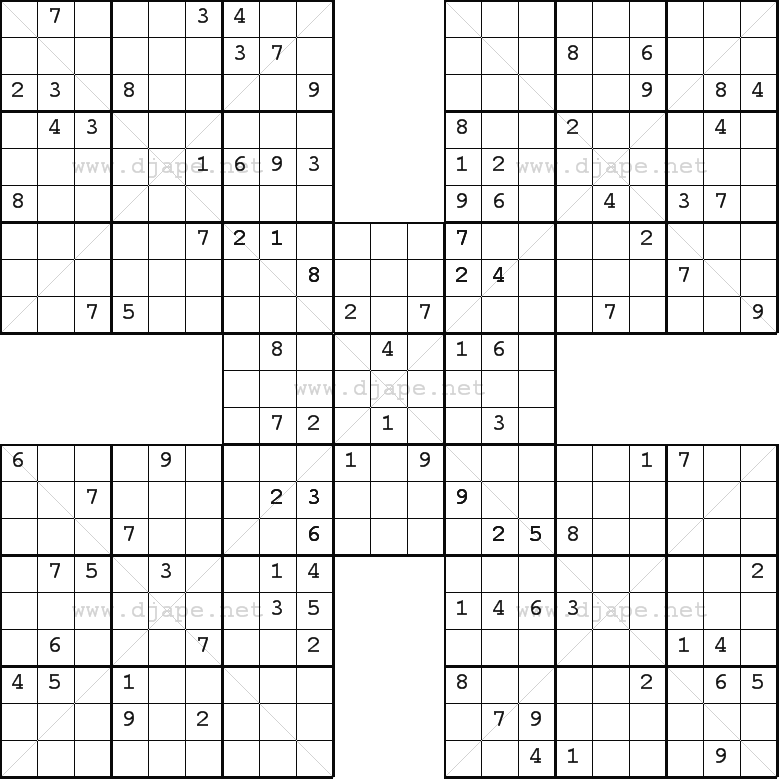 This entry was posted in Free sample puzzles, Samurai sudoku and tagged IQ, Perfect Sudoku, samurai, Samurai Sudoku, Sudoku Samurai. Bookmark the permalink. Post a comment or leave a trackback: Trackback URL.